If you’ve ever wondered what it’s like to be a squirrel with a grappling hook then look no further than Little Acorns. Mr. Nibbles is on a mission to collect as many acorns as possible to feed his growing family. The game takes you through all four seasons and three years of acorn hoarding as the Nibbles family grows larger and larger. Little Acorns is a pretty basic platformer that originally released last year on other mobile devices. With its arrival on PSM the most noticeable addition of course is that it now features button controls. You can move with the Analog Stick or D-Pad and you’ll jump and swing with the X Button. It’s pretty simple and the platforming feels good. You’ll mostly jump or swing from platform to platform while collecting acorns in order to unlock the door to the next stage. Enemies that get in your way can be taken out by jumping on their head or with the use of a special invincible power-up. Other power-ups grant you with a much higher jump as well as super speed for a short period of time. Power-ups are positioned at specific points in certain stages and usually aren’t required but rather make the stage a little easier. After collecting every acorn in a stage you can go ahead through the door to finish the stage or you can quickly collect five fruits scattered throughout the stage and unlock a piece of an outfit. Each year is split into the four seasons with each season lasting five stages. The fifth stage of each season requires you to also round up baby squirrels that are on the loose in addition to the acorns. The final stage in each year is a boss chase where you need to reach the end of the level before the boss. These are fun as they feel quite different from the normal stages and typically show off just how fun the swinging mechanic can be. As mentioned before you’ll unlock outfits throughout the game by collecting fruit. There are head, face, and body pieces as well as customization options for your grapple chain. My personal favorite was the dinosaur costume. Aside from outfits, completionists can look to filling up your tree home with 100% of the acorns. There’s 3000 acorns in the game that you’ll earn from completing stages, collecting fruit, and for fast completion times. By the end of the game I had nearly all of the acorns with just a few levels to replay. The game isn’t particularly challenging but collecting all of the acorns is still fun nonetheless. There isn’t much of a penalty when you’re hit by an enemy as you just slow down for a few seconds and continue onward. You can die by falling into water but you can continuously get hit by enemies and remain totally fine with the only penalty resulting in a slow completion time. In a way it takes away from feeling like you need to be good at the game to complete it. Little Acorns is a good looking game. The cartoon-like graphics fit well and I quite enjoyed the silly outfits that I unlocked throughout the game. The music isn’t half bad and the overall presentation is just really nice. That said it should be noted that the touch menu option to scroll through levels for each year doesn’t work. No matter how many times you tap that specific option it won’t scroll through years. Luckily you can just use the L and R buttons to switch but not having that one thing working correctly seems a little weird. 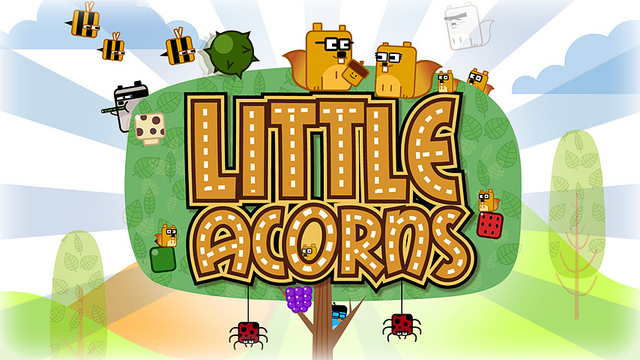 Little Acorns is $1.49 which is stupid cheap for the amount of game that you’re getting. There are some micro-transactions that can be purchased to unlock all levels or to unlock all outfits. As mentioned before the game is pretty easy so there’s really no need to spend any extra money. I had a good deal of fun with the game and fits well on PSM. I would have liked to see maybe a few more boss stages and something a little more difficult but for the price you really can’t go wrong. 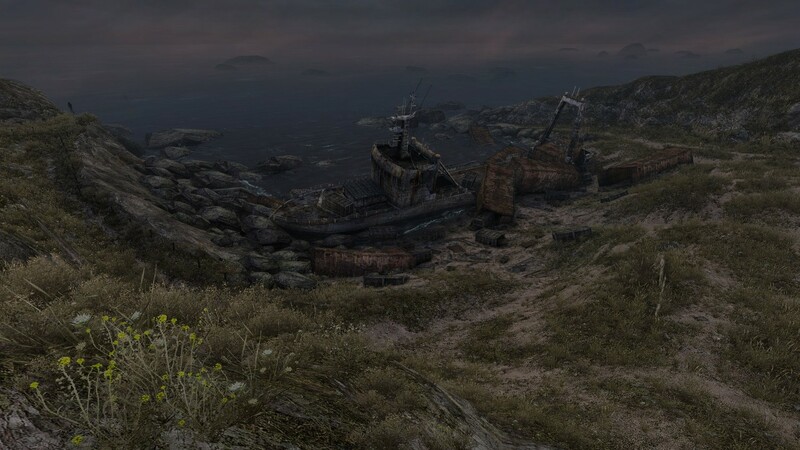 A copy of this game was purchased for review purposes. For more info on our review policy click here. This review is for the PlayStation Vita version of the game. Touch screen level select not working is weird.